Because we're nerds and don't really know anything about basketball, our office pools look a little different around here. 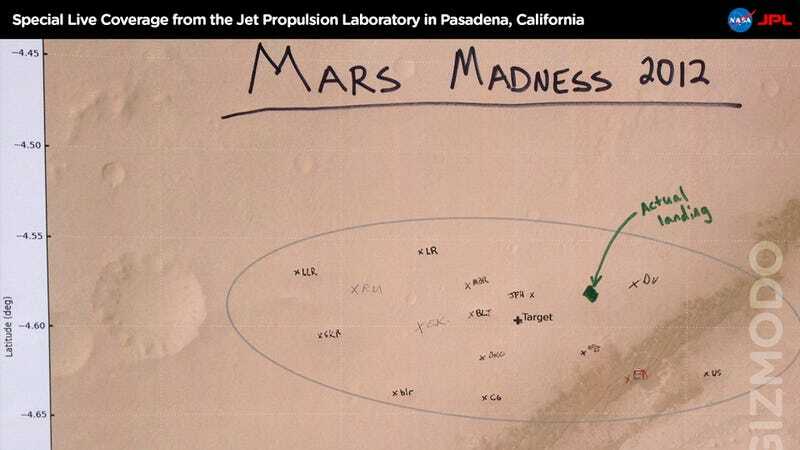 The name of the guy who won is Dan Vartolomei, an Structures and Configuration Engineer at Jet Propulsion Laboratory. Congratulations, Dan. Enjoy your $15! (each of them put a buck each). And congratulations to the entire team for landing so incredibly close to target. * This is the equivalent of shooting a bullet from the Empire State Building in New York to the Eiffel Tower in Paris and hitting the antenna right on its tip.